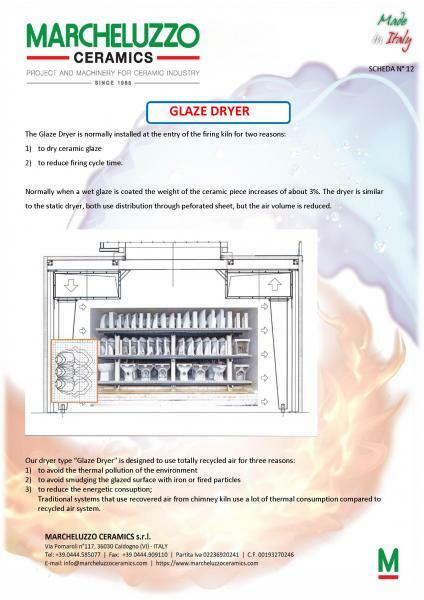 During the glazing phase a humid glaze is normally coated with an increase of weight of about 3% of the ceramic piece. 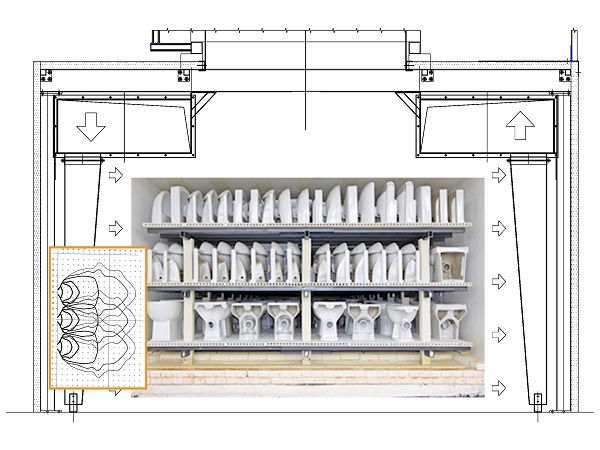 This dryer is quite similar to the static dryer (distribution through perforated sheet) but the air volumes are here reduced. 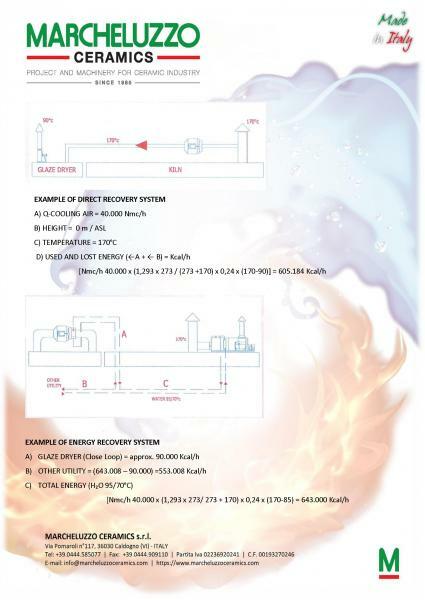 1 - to avoid the thermal pollution of the environmental ambient. 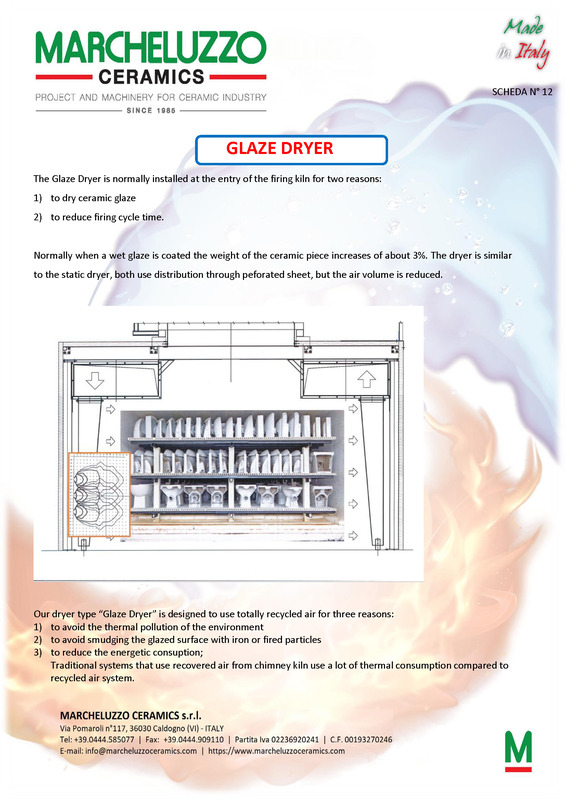 2 - to avoid that iron or fired particles lay on the glazed surface. 3 - to reduce the energetic consumption. 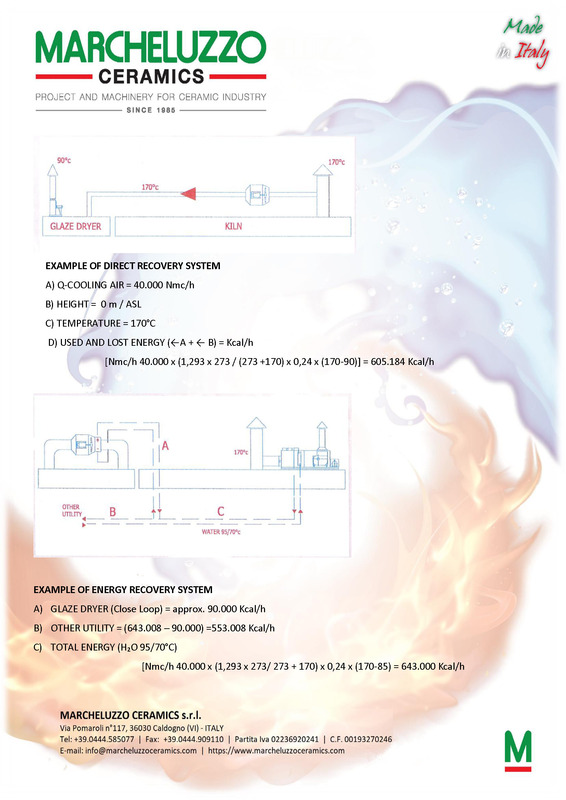 As a matter of fact the traditional system based above the use of the air coming from the chimney of the kiln creates a high thermal consumption compared with the system based on the re-circulation of the air but mostly makes null any energy recovery (close loop).